Follow Mark T. Ross on an epic adventure in Paris, the city of light! 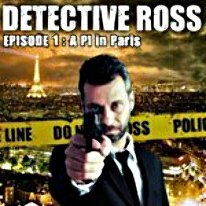 Mark T. Ross is an American private investigator who sets up his office in Paris, France. Soon thereafter, a mysterious and powerful man asks him to find his kidnapped son. With only a few hints, Ross will have to use every investigative tool at his disposal to solve the case.